At Zimmer and Peacock we believe that biosensors should be everywhere, that is why we are happy to support the community. 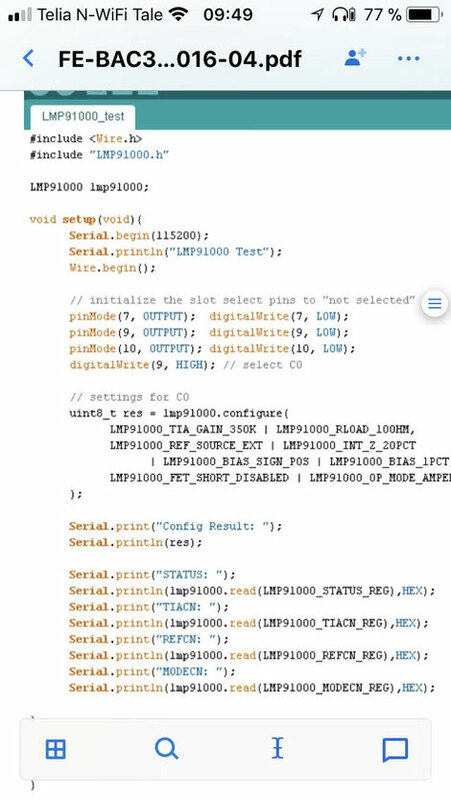 We recently had an enquiry whether we had experience of connecting the LMP91000 to the arduino board. We asked the engineers and the response was 'yes, we do it all the time'. We have put everything we could find for connecting the LMP91000 to the arduino board on this page. It's not a complete guide and you will have to search through these two excellent documents from a programme supported at HBV by Zimmer and Peacock and take a look at the adjacent image. There is also some additional resources in the button below. Zimmer and Peacock are the world's leading contract biosensor and medical diagnostic development and contract manufacturer. Please click the buttons below for our knowledge base and to find out about us.